The Box (at its new location!) is pleased to present the first complete historical overview of the seminal LA art and music collective, The Los Angeles Free Music Society (LAFMS). 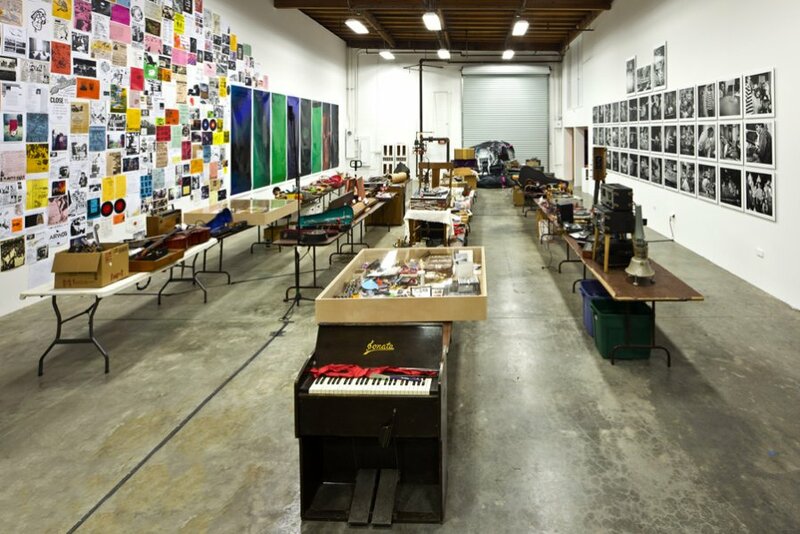 This exhibition, Beneath the Valley of the Lowest Form of Music: The Los Angeles Free Music Society ‘1972-2012,’ will take place in The Box’s new gallery space in the heart of the Arts District of Downtown LA, at 805 Traction Ave, 90013. This exhibition of the LAFMS will showcase the fascinating history of this music and art collective that has been in continuous operation since the early 1970s. 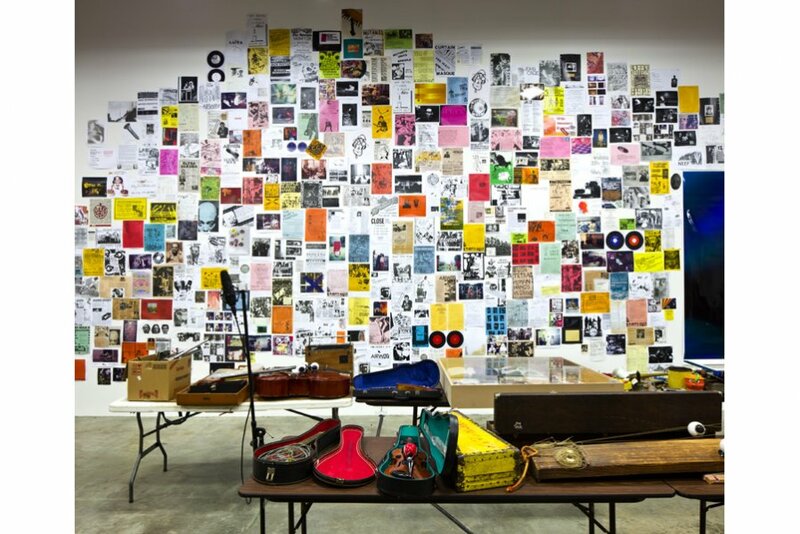 In the first exhibition at our new, larger space, The Box will present nearly 40 years of LAFMS artwork, self-made musical instruments, recordings, ephemera, film/video, and installations, as well as a schedule of live performances and artist’s talks. 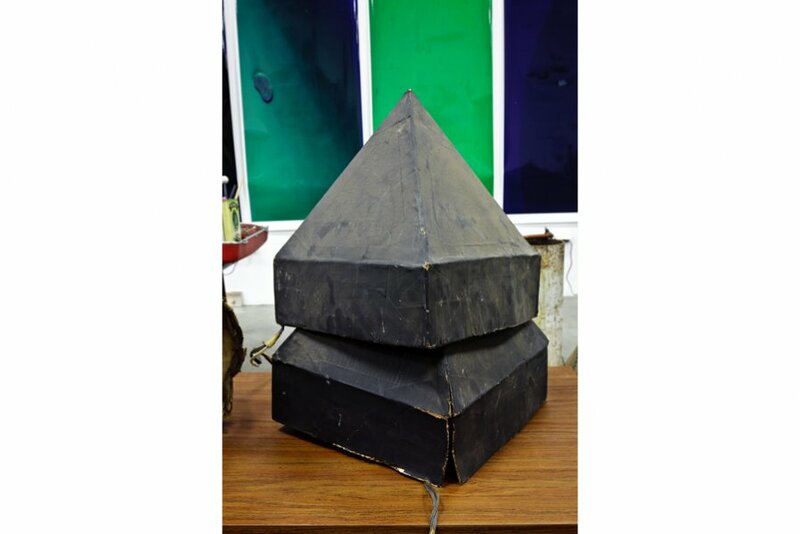 The LAFMS have created a huge collection of homemade musical instruments throughout their history. A large selection of these objects will be on display in the space, exposing their playful and ingenious approach to sound. 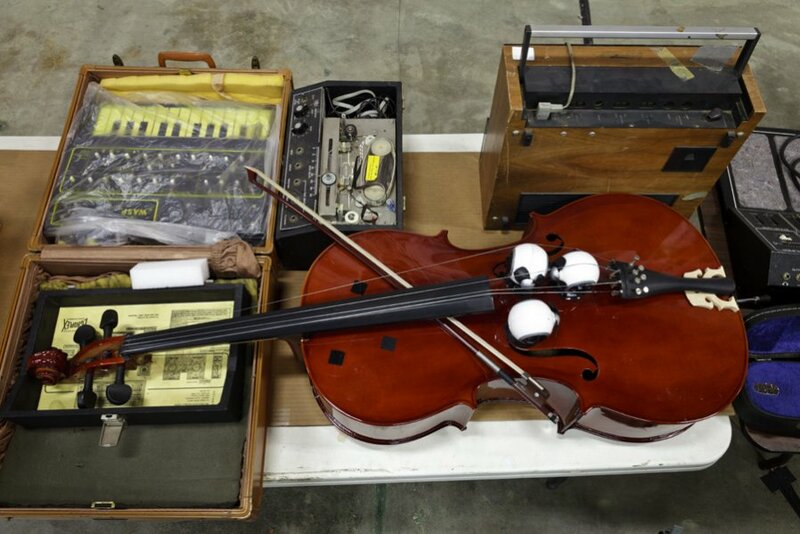 The selection on display includes both historical and new instruments made by Rick Potts, Tom Recchion, Joe Potts, Joseph Hammer and others. Rick Potts’ Hinge Neck Guitars, Tom Recchion’s “Strunagaphone” and Spring Boards, Joe Potts’ Chopped Optigan, and Paul McCarthy’s Sonotubes will be among the plethora of functional sculptural objects included. Films by John Duncan, Michael Intriere, Doug Henry, Tom Recchion, Rick Potts, Jonathon Rosen, Janie Geiser and more will be screened. A “record store” ala Poo-Bah Records, a scene of the early development of the LAFMS, will offer CDs, Vinyl, Cassettes and other objects for sale. A non-linier, historical, wall-sized collage of flyers, drawings, notes, correspondence, photos and other ephemera will also be on display. Another focal point of the exhibition will be a major collection of photographs taken by Fredrik Nilsen. 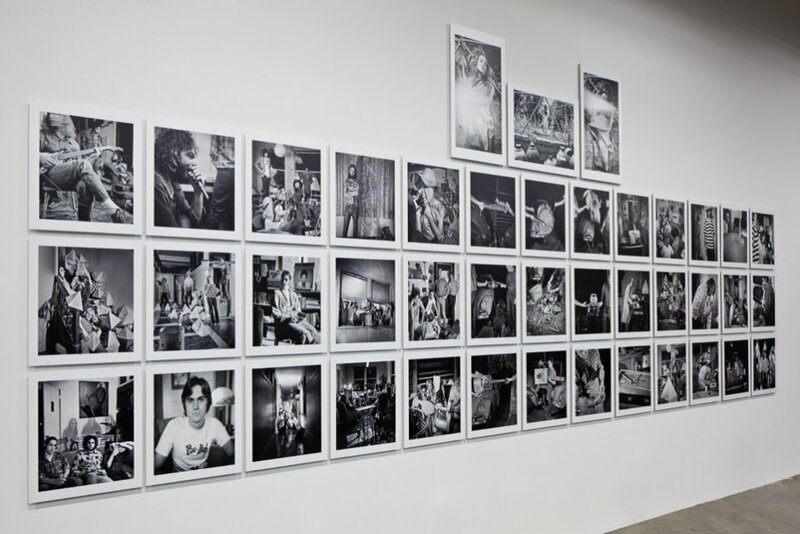 Nilsen, now a well-known exhibition and art photographer, will show prints documenting the LAFMS between 1972 and 1981. These images that have been printed especially for this exhibition, portray the beginning of this pivotal movement. Photographs documenting this vast scene by Tom Recchion, Kevin Laffey, Dennis Duck, and others will also be shown. 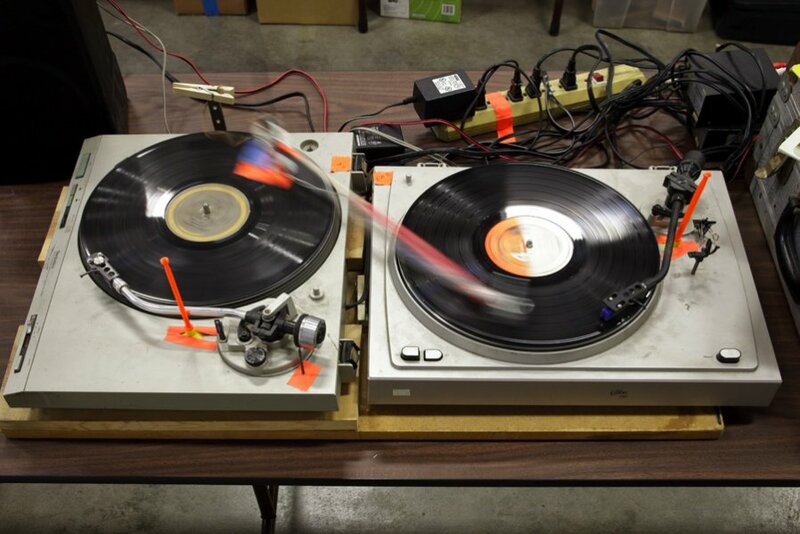 The foundation of the Los Angeles Free Music Society goes back to 1973 when Rick Potts, Joe Potts, and Chip Chapman—began making tape experiments and improvised music mixed from TV cartoons and material appropriated from Chapman’s eccentric record collection. A year later, with Tom Potts and Susan Farthing- Chapman they formed Le Forte Four. In Pasadena they became acquainted with Tom Recchion who worked at Poo-Bah Records and kept locals informed of new experimental and avant-garde records. Concurrently at Poo-Bah’s, late night improvised music experiments were taking place in the back room, with Tom and customers-now friends Dennis Duck, the Ace of Space, The Professor, Fredrik Nilsen, Juan Gomez and Harold Schroeder. Out of those sessions Tom and Harold formed The Two Who Do Duets, and went on to form the Doo-Dooettes with the inclusion of Fredrik, Juan and Dennis. It was only a short while later that the factions joined forces under the LAFMS moniker when it became obvious that there was a symbiosis to their approach and aesthetics, as well as strength in numbers. Ace Farren Ford, also affiliated with Poo-Bah, was part of Ace and Duce, also joined the ranks and the first LAFMS concert was produced in 1975 featuring Le Forte Four, the Doo-Dooettes and Ace and Duce, billed as The Los Angeles Free Music Society. Members of the avant-rock group Smegma, who had already been in existence since 1973, also developed out of and beyond the Poo-Bah Records scene before moving to Portland, Oregon in 1975. John Duncan, another Poo-Bah customer and subsequent acquaintance of Tom’s became part of the collective, releasing several of his earliest recordings as part of the LAFMS canon. AIRWAY, Joe Potts’s project and one of the first “noise” bands, emerged spurring on the development of “noise as art” aesthetic, becoming a global influential force and the idea of “maxmimalism.” Influenced by everything from Zappa/Beefheart to Cage, Terry Riley and One String Sam, they were ahead of the curve and their DIY aesthetic presaged Punk Rock, releasing their own efforts and self-produced concerts. This was only the beginning. As years went on many groups and affiliations began to spring up and each member of the LAFMS began to emerge as solo artist in both visual arts and musical fields as well as collaborate and join other groups. 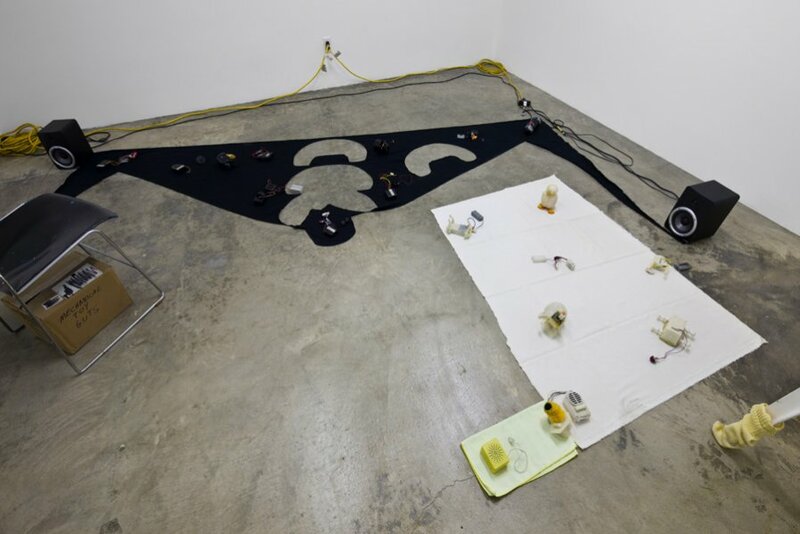 LAFMS’s work and performances have been pivotal figures in L.A.’s history of experimental art and sound and have had a global impact with international recognition. They are not simply a NOISE group, but embrace all forms of music and have demonstrated an adept capacity for tonal, improvised music, sound art, rock, musique- concrete, “turntablism”, humor, drone, minimalism, etc. Since 1975, the LAFMS has released over 25 recordings on their own label and participants have released or have appeared on hundreds of releases from labels around the world. 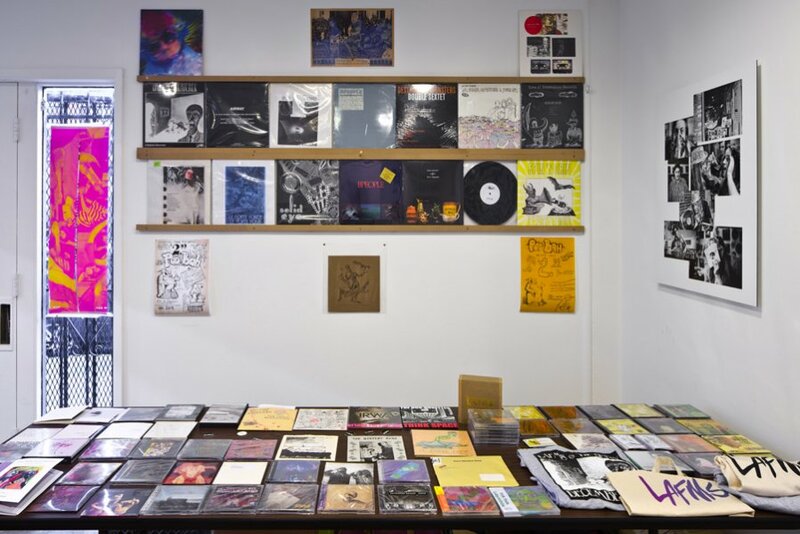 A merchandise store with some of these releases will operate throughout the exhibition, where visitors can find in-print and rare out-of-print items available for purchase including a new 2012 edition of “Lightbulb”, an occasional magazine published between 1977—1981 by the LAFMS. January 20, 2012 - FREE Outdoor concert at the Getty Center, Los Angeles. This concert is in conjunction to the Performance and Public Art Festival of Pacific Standard Time. This event will feature The LAFMS Shoe, which is comprised of many of the core members of the LAFMS, playing a series of duets that seamlessly morph from musician to musician exposing a constantly evolving palette of musical voices. 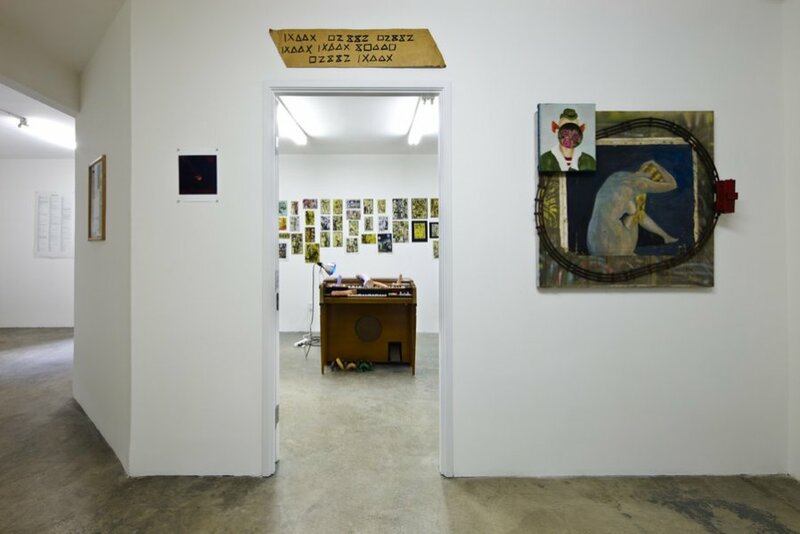 January 28, 2012* – FREE- Performances of multiple LAFMS groups including Tenses and Artificial Art Ensemble at The Box LA (805 Traction Ave, 90013). 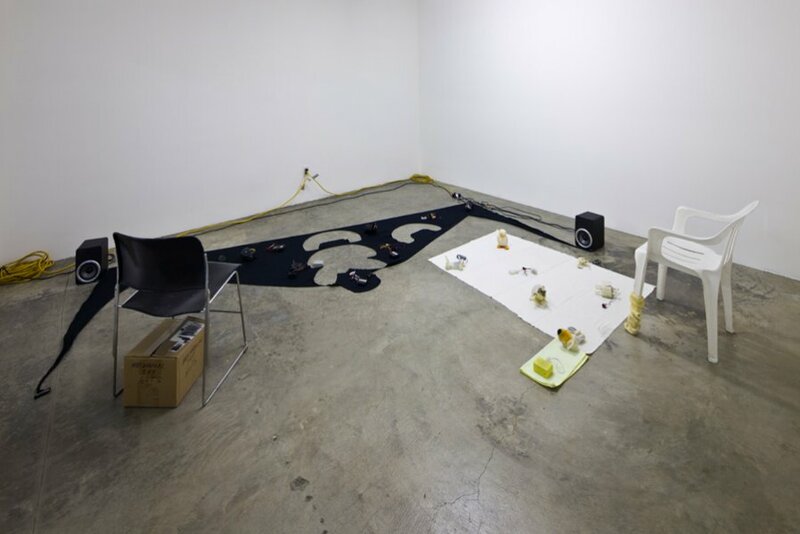 January 29, 2012 – “Welcome Inn Time Machine” free event produced by The Society for the Activation of Social Space Through Art and Sound (SASSAS) will transform a motel—the Welcome Inn—into a six-hour tour through key moments in LA’s experimental music history. “Pyramid Headphones”, originally produced by the LAFMS in 1976, will be staged as one of over a dozen concurrent micro concerts held in individual motel rooms. February 11, 2012* – free performances with groups To Be Announced at The Box LA. 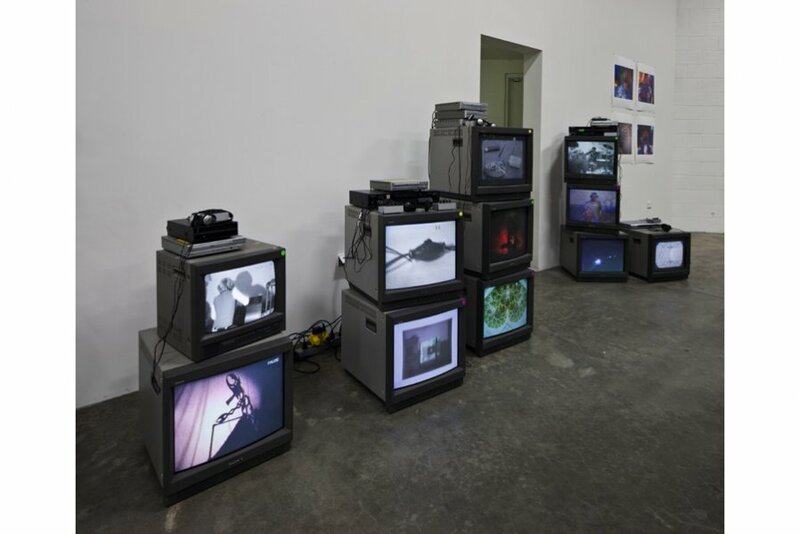 February 16, 2012* –Panel Discussion with Carl Stone at The Box LA. Pacific Standard Time: Art in L.A. 1945 – 1980 is a collaboration of more than sixty cultural institutions across Southern California, coming together for six months beginning in October 2011 to tell the story of the birth of the Los Angeles art scene and how it became a major new force in the art world. For additional information, please visit www.pacificstandardtime.org. Wednesday to Saturday, 12 PM - 6 PM or by appointment. The Box is not currently reviewing artist submissions.